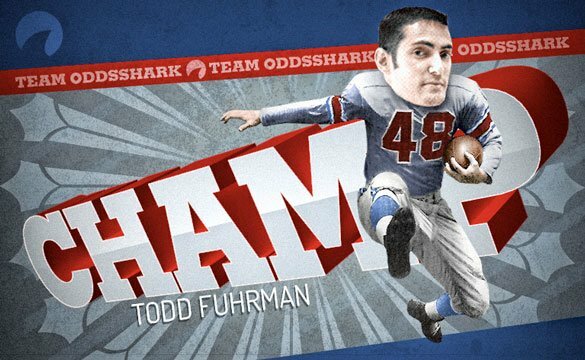 Todd’s status as an industry expert experienced a meteoric rise over the last few years and he was the inaugural winner of the Team OddsShark challenge in 2014, besting 11 other contestants. Hired in 2015 to be a key part of CBS Sports' new Sportsline site, he spent last year at Fox Sports as their gambling insider, becoming a key personality in the launch of Fox Sports 1 lineup to break down all sports from a Vegas perspective. In addition to his regular television appearances, Todd’s contributions are evident throughout twitter and his industry analysis can be heard on a variety of radio stations across the country and his popular podcast. Fuhrman got his start in the gaming industry as a financial analyst at Caesars Entertainment and held a number of positions with the company before working his way into the Race and Sports field where he eventually found his calling. Todd left Caesars in August 2012 and spent two years working for Don Best Sports as a consultant helping the company launch their proprietary in-play platform while also creating new B2C products. Follow Todd`s expert Twitter posts for important updates.